Meet Garrett Hawkins, former Missouri FFA state vice president, and now Missouri’s Deputy Director of Agriculture. Past Missouri FFA member Garrett Hawkins is a smalltown Missouri boy who likes to run, hunt and work on the farm. Sound familiar? One distinction you’ll find is that this farm boy also works to protect Missouri’s nearly 100,000 farms through his position as deputy director of the Missouri Department of Agriculture. 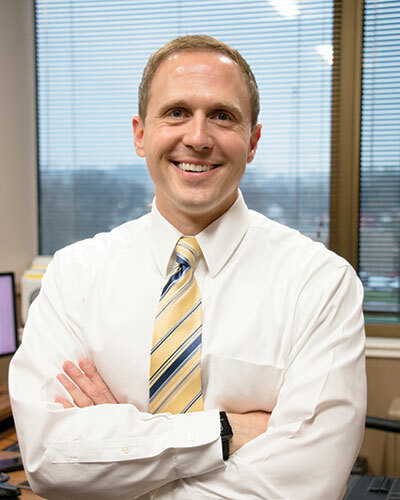 As deputy director, Hawkins works with the director of agriculture, Chris Chinn, to oversee daily operations for MDA by protecting and promoting agriculture and serving farmers, ranchers, agribusinesses and consumers. Although he enjoys his work, Hawkins admits that some parts of the job can be challenging. Striking a balance between the state’s many needs is one challenge he encounters often. Conflicts arise from differing opinions, even from those within the agriculture industry. He and his team overcome this through listening to all opinions and studying laws and regulations. “I always like to say that when we make a decision, we have weighed all options and done everything we can to make an informed decision,” Hawkins said. This ability to work with people and handle challenges began with leadership positions he took on in high school, one of which was becoming chapter president of his local FFA chapter. One of the leadership opportunities he was empowered to pursue was becoming a Missouri FFA State Officer in 1998. His role as first vice president allowed him to further develop his public speaking and interpersonal skills, but most important, it gave him a taste of what he could help others accomplish by stepping up as a leader. His thirst for leadership continued into college where he became a student ambassador and later interned for Missouri Farm Bureau. That one internship paid off because in the fall of 2002, he was brought on full time with Missouri Farm Bureau. Although Hawkins found his passion while in school, when he began college, his goal was to become a high school ag teacher. However, he soon realized his skill set was better suited elsewhere. In 2002, he graduated from Missouri State University with a degree in agricultural business. This degree change didn’t stop him from being involved in the organization he loved. Hawkins has been deeply involved with the Missouri HYPE and HYMAX academies through giving workshops to FFA members. 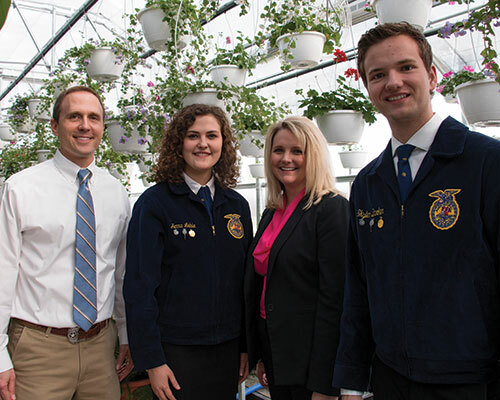 This passion for Missouri ag policy was brought even closer to home when Hawkins, his wife Jennifer Hawkins and his children Adelyn, Colton and Tate, moved home to Hawkins’s family farm in Appleton City, Missouri, two years ago. He hopes to instill a love for working on the farm in his children, just as he and his wife had on their individual family farms. His ultimate hope is that those in agricultural leadership roles today can continue to pave the way for the next generation.